3D model of a Purepack 64 oz. 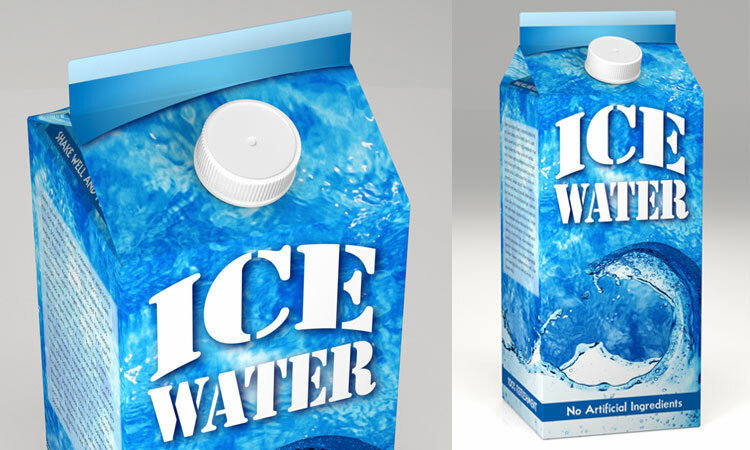 carton, created from actual production die . I use Modo to virtually fold and assemble any die art provided to accurately mimic the final real-world product, but it is my artist's eye for lighting and realistic composition that really sells it. Client: CONFIDENTIAL: design altered to protect client identity. All Images © 2006-2011 by Tom Stazer. No reproduction without written consent from Tom Stazer.